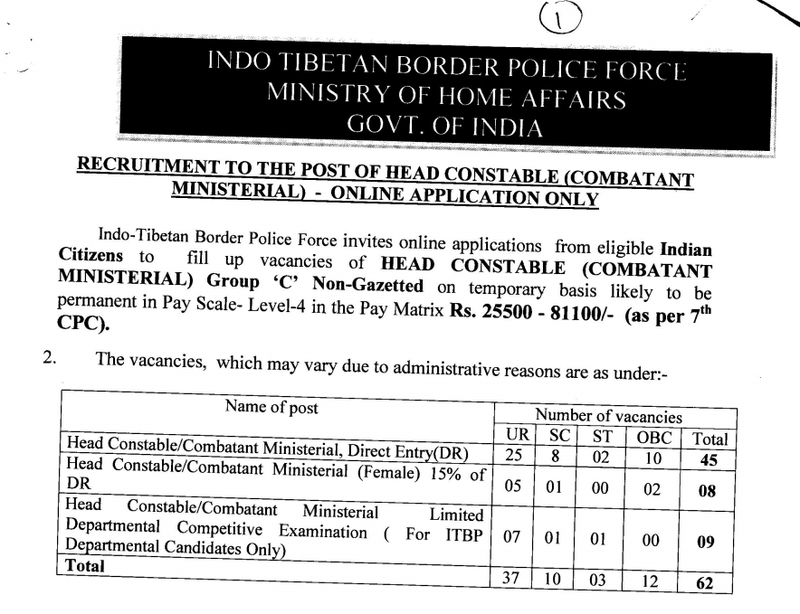 Indo Tibetan Border Police Force (ITBP) has issued the notice for upcoming recruitment of ITBP Head Constables (Combatant Ministerial). The notification will soon be published in its official website and employment news. You may view/download short notice from the link provided below. P.S. : This is only a short notice, a comprehensive notification will be published on 14-10-2017.